Two Weeks Until Digital Learning Day! Is Your Event on the Map? Home/Digital Learning Day/Two Weeks Until Digital Learning Day! Is Your Event on the Map? We received this reminder yesterday. Let’s get those Canadian events on this map. Two Weeks Until Digital Learning Day! Is Your Event on the Map? 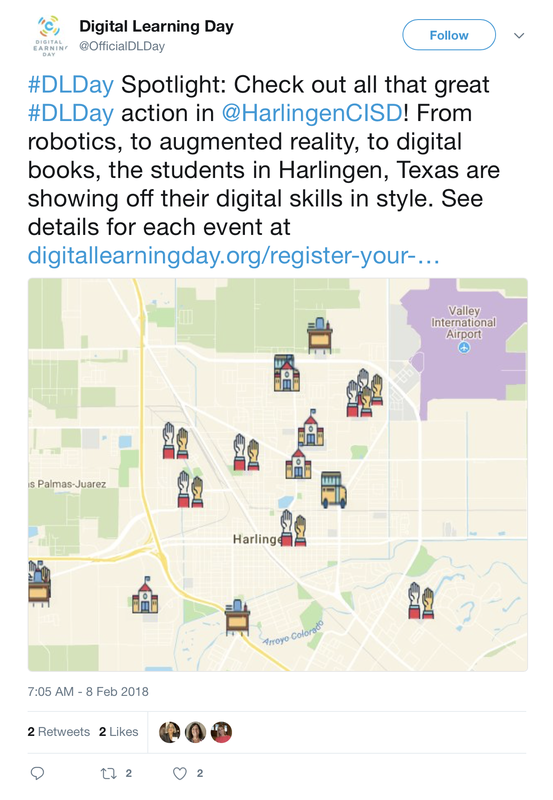 Digital Learning Day 2018 is two weeks away on February 22! There are now more than 600 events on the official DLDay map. 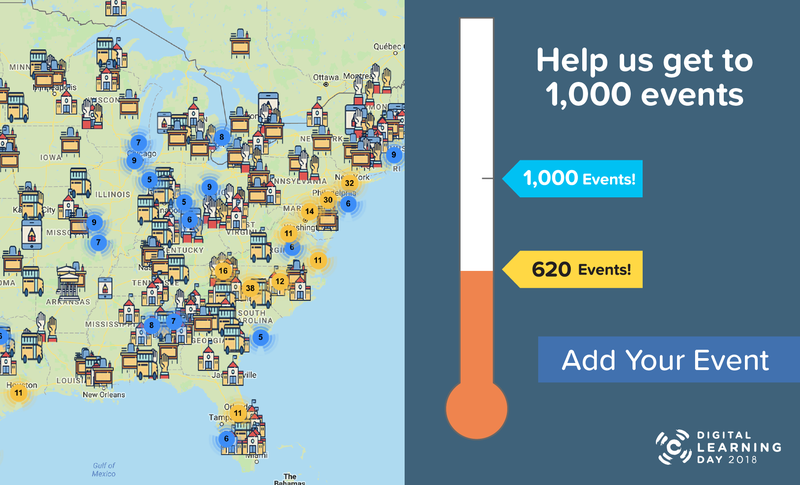 Help DLDay reach 1,000 events on the map! Have you marked your celebration yet? Looking for ideas? Check out DLDay activities and ideas, including digital tools, resources, and lesson plans. Or, take a look at the official DLDay map to see celebrations in other classrooms, schools, and districts near you. 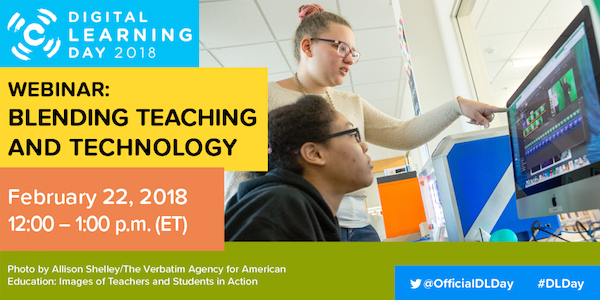 Don’t miss this opportunity to learn how innovative districts are blending teaching with technology to improve student outcomes in this DLDay webinar, happening at 12:00 p.m. (ET) on February 22. Stay Connected To Digital Learning Day All Year Long! Thursday is Digital Learning Day! Are You Ready? Less Than Two Weeks Until Digital Learning Day! Is Your Event on the Map?